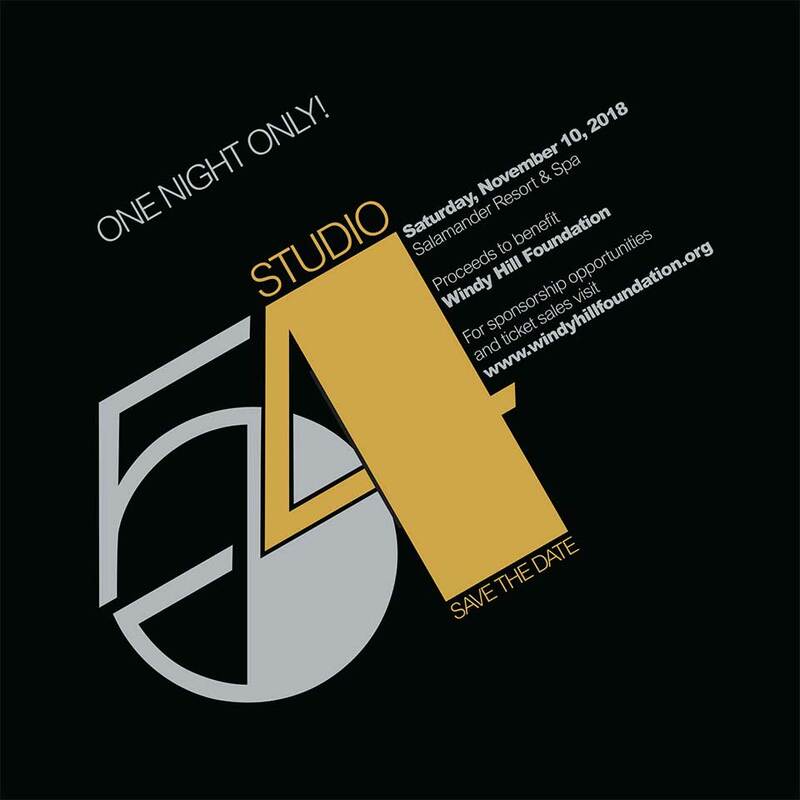 We Invite You To Sponsor The 2018 Windy Hill Foundation Gala, Studio 54! Windy Hill Foundation is a 501(c)(3) organization. Sponsorships are tax deductible except for the good faith estimate of $300 per ticket for the dinner and dance. 50% of payment is due upon execution of this agreement Balance due thirty (30) days prior to the event. This agreement contains the entire understanding of the parties regarding the 2018 Windy Hill Foundation Gala and supersedes all prior and contemporaneous negotiations and agreements, whether written or oral, between the parties with respect to the subject matter of the Agreement. Best Seats in the Club! Donate & Help: Windy Hill is calling you. Make an impact in your community today by contributing your time or by making a charitable donation. Your gift – whether time, talent, or financial - is integral to our mission. We appreciate your generosity whether it be a donation to Annual Giving or your volunteer commitment. Click below to get more information. Thank you!